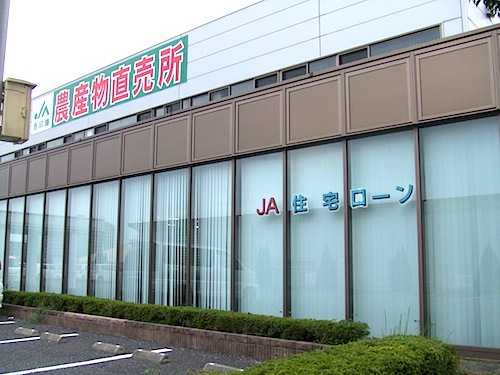 Since the local branch of JA Bank is close to where we live, we decided to drop in and see what they could offer before setting out for Tsukuba and our rendezvous with SBI Mortgage. Though we had been virtually assured by N that SBI would lend us the money we needed, we wondered if we could get better terms at JA. Perhaps more significantly, we wanted to keep matters close to home. If we were going to borrow money we preferred it be from someone we could interact with whenever we needed to. We also liked the idea of doing business with people in our own community, especially now that we were thinking of planting roots in that community. SBI Mortgage, by virtue of its “money store” image, seemed more like a chain outlet. The loan officer who met with us at JA was an efficient, overly friendly man in his late 30s. He listened patiently to our singular tale, a streamlined version of the one we related in our last post. When we pretended to be interested in Tama Home’s products two years ago we were honest about our income because we felt it was a good way of exiting the conversation after getting the information we sought, but the salesman had called our bluff (in a manner of speaking; there was no reason to think he didn’t believe we were sincere) by telling us that our budget was unrealistic, even though Tama Home did sell houses that were less than ¥10 million. As for our ¥2 million annual salary issue, he said it was not a problem, which is why he suggested JA Bank, and that’s why we were here. Though we had brought along tax documents we weren’t quite expecting to make a formal application. We simply wanted to know what our chances were of getting a loan and what the terms would be if approved. To the JA loan officer it was pointless to explain what could happen; better to just apply and see how things turned out. In fact, he made copies of every document we had with us. He was careful to stress what we would eventually come to understand was the most important aspect of getting a home loan, which is that the lending institution needs to see what it was you were buying. They were not interested in hypotheticals. Ideally, we had thought that if you were going to borrow money, you should find out what the bank was willing to lend you, but that’s not how it works. You had to bring them something. It was as central to their decision as your income or credit history. The fact that we hadn’t signed a contract for the land yet didn’t bother him. As long as we knew how much it and the house would cost, they could make a preliminary judgment, so we filled out the forms. Since we had made even less money the previous year than we had made the year before that, we prepared ourselves for some serious teeth-sucking sounds, but our income didn’t bother him. He made it sound as if our chances for getting approved were good (though he didn’t actually say that). Besides, we weren’t borrowing the full amount for the land and house, only about a third. The next day we made the long train trip to Tsukuba, where we met N and the architect who would be in charge of our house. He was not the same person who had walked us through the design process at A-1’s offices. He was dressed in a work uniform with the A-1 logo and seemed very young to us, barely out of university. By this point we had begun to understand the A-1 ethos, which is to give the customer exactly what she wants but also not to get her hopes up too high. Whatever the finished product, it was going to be of good quality and design but not anything spectacular. And while that was exactly what we wanted we were already missing the sort of thrill that prospective homeowners feel when they’re having something built to order. This was not going to be like that TV Asahi show, “Before/After,” with its stepping-into-heaven climax. The architect, who we’ll call Young N, was, per his dress, a technician and nothing more. 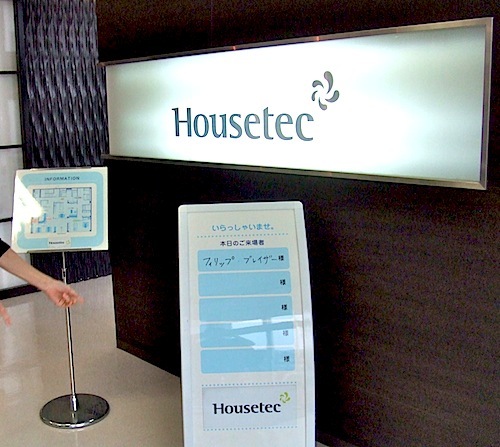 They were there ostensibly because after our meeting at SBI we would go to the Housetec showroom nearby and look at bathroom and kitchen fixtures, but they were also there for moral support, so to speak. N had already told us that he helped other customers secure loans through SBI Mortgage, and in any case if we were to apply for a Flat 35 loan, which is guaranteed by the government, he could better explain the design aspects that were required for approval of such loans. (quake-proofing, energy efficiency, etc.) The SBI office wasn’t exactly what we expected, even though we knew this particular operation was basically an agency, meaning they not only acted as agents for SBI Mortgage, but also as sales agents for life insurance and what have you. Located in a shopping mall, it was a warren of small cubicles set up on the margins of an open sales floor, next to a few fast food franchises. The employees were all women in identical office uniforms. We had an appointment and were ushered into a very small cubicle with a table, which the four of us crowded around. The woman in charge was short and heavily made up, her manner stiff and formal, both with us and with N, whom she seemed to know. In short, she was as efficient as the JA officer but not half as friendly. It was obvious this was a manual-following operation, and for the next half hour we filled out the preliminary forms while she explained the process, which wasn’t that much different from JA’s but the terms for the Flat 35 loan sounded better. For one thing the interest would be lower. The Flat 35 loan was fixed at 1.74 percent for as long as we paid it back, while the JA loan would be about 1.95 and fixed for only ten years, after which it could very well go up. Also the mandatory fire insurance was handled differently. For SBI we could choose any company we wanted, while for JA it was a monthly payment attached to the loan of about ¥11,000, which we would be contributing for as long as we paid the loan. JA’s handling fee was only ¥31,000 while SBI’s was ¥210,000, but JA required a hefty guarantor’s fee while SBI did not, since it was a Flat 35 loan. Also, if we took out a loan with JA we’d have to become a member (¥20,000) and make an account. In the balance, we’d save money with SBI. But we didn’t feel entirely comfortable with the setup. Perhaps because of the SBI loan officer’s manner the fears we had about getting a loan beforehand arose again in our minds. For one thing, she made sure we understood that if we passed the preliminary screening there was no guarantee we could still get the loan, and the secondary screening could take as long as a month. The JA officer had seemed comparatively sanguine about our prospects. Moreover, though it wasn’t a problem for SBI that we hadn’t purchased our land yet, she told us that if we did sign a contract before the screening process was completed it should have some sort of exit clause in case the loan was turned down. Though N had pretty much promised us that SBI would give us money, this splash of cold reality made us wonder. We knew that she had to say these things by law but knowing that didn’t make it sound any less foreboding. We left the office with a list of documents we would need for the secondary screening and a promise that she would call us within a week’s time with the results of the preliminary screening, which did seem assured. With that somewhat oppressive business out of the way we could now turn to the more enjoyable occupation of shopping. We drove to the HouseTec showroom in the A-1 company car. The building was located along a commercial retail corridor filled with strip malls and large supermarket complexes. Housetec is not open to the public. You have to make an appointment through a builder or some other housing related operation, and while the company had a fairly large parking lot, we were surprised to find a space close to the entrance with our names carefully stenciled on a sign indicating that we were honored guests of a sort. Inside, the uniformed female sales staff waited at attention and then bowed as we passed. It was all very strange, since we hadn’t formally agreed to have the house built with A-1. It was obviously another means of nudging us along and effective in the sense that until we had a better idea of what sort of place we wanted we weren’t going to progress past the imagining phase. We sat at a large table and were served soft drinks and coffee as we chatted about the process from now on. Young N produced a mock-up floor plan of the proposed house in accordance with our previous meeting at A-1’s offices. We tried to explain our vision again–the whole simplicity argument–and they listened carefully but it was difficult to gauge how sympathetic they were. 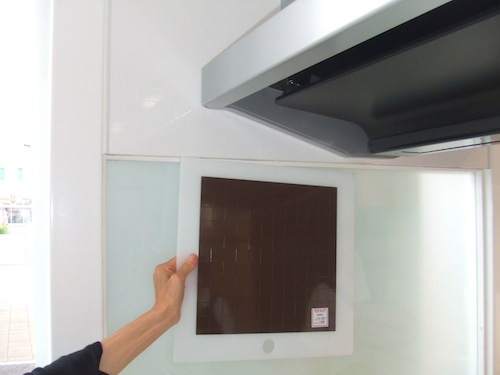 Eventually, a salesperson led us to the kitchen fixtures area. There were several model kitchens set up and they looked the same. Our initial desire was to have an industrial-styled island format, with the sink and stovetop in the middle of the kitchen in a kind of functional stainless steel frame with an exposed floor underneath, meaning no cabinets. They had no such installment in their showroom, nor any conception in their collection of what we had in mind. But since it wasn’t an idea we had worked out beyond the style element, we decided to abandon it and chose the simplest island we could find, with a compound fake marble top and IH stove (we had decided to make the house all-electric). 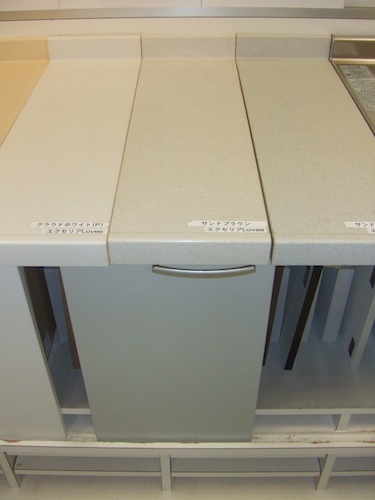 We had to pick out the “pattern” and “color” of the fake marble, which was odd because it was difficult to tell the difference from one sample to another. The bathroom was another moment of truth. 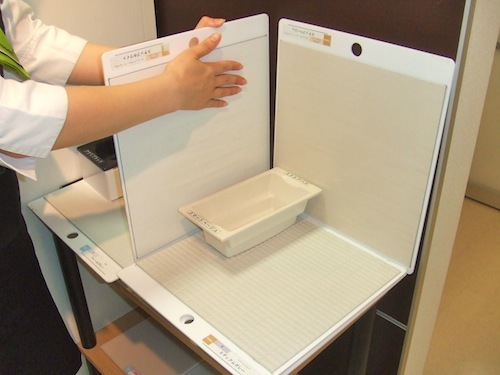 Neither of us take baths in the habitual Japanese way, and the so-called unit bath seemed a waste of space to us since it prioritizes this way of life. Basically, what we wanted was an old-fashioned stand-alone bathtub with a shower attachment in a smaller room with a tile floor, but they didn’t have anything like that. N pointed out that it might be difficult to secure a Flat 35 loan if we didn’t order a unit bath because unit baths were already designed with energy-saving features that met the Flat 35 standards. Besides, we had already found out from other builders that building the bathroom we wanted would be very expensive in Japan since it would necessitate hiring specialized tradesmen to realize it, and we were already worried that our budget was beyond what we originally calculated we could afford. So we went with the simplest unit bath we could but had them install a shower curtain around the tub. On the way back, N stopped off at a bakery and gave us a complimentary gift coupon worth about ¥1,000. We picked up some cakes and stuff, feeling stupid for being the object of this very obvious, very Japanese sales ploy. Though one of the reasons we had gone with A-1 was N’s uncommon straightforwardness when we first talked to him, it was becoming apparent that he was trying to close this sale as quickly as possible, even if it meant rushing us through decisions that we should take time to make. He was already becoming pushy in the area of money, telling us the schedule of payments and such, the first of which was ¥600,000 for the “design” aspects that were A-1’s bread and butter. We hadn’t even been approved for a loan yet, but he knew that we had money in the bank since we had told him originally that we wanted to pay cash, but the cost was going up every day, and not just because of the house itself. The loan process taught us there would be all sorts of incidental fees and charges, and we already knew that registering the land and having contracts notarized was going to cost money. The thing is, we were satisfied with the design that A-1 had come up with and happy to pay them for it, but we needed more breathing space. They dropped us off at the station with our bag of cakes and all the way home we wondered what we had gotten ourselves into. This is such a useful and interesting series, thank you for writing it! I currently have no intention of buying a house here because I live in Sendai and feel quite uncertain about whether it will be safe to live here in the future. Also rental options are reasonable and I don’t want to buy a large depreciating asset. However my wife would like somewhere with some land to call her own, so we might end up buying in the future. I agree with Ben. Very interesting! I have a little experience in talking to home builders. There seems to be a lot of smoke and mirrors and it’s hard to 100% trust what they say. great! Very helpful, it seems harsher than in Italy! I don’t understand why you are so intent on reproducing an American home in Japan. If I built a house in the U.S. I wouldn’t be insisting on a genkan and split-ductless air conditioning. Doing as the Romans do just gets you a cheaper home because there are economies of scale. You haven’t mentioned third-party earthquake and fire certifications. Are you going to shell out for this yourself, or have you decided just to pay the higher casualty insurance rates? I’ve never heard of a custom home builder picking up the tab for this as the larger home builders do. What makes you think we’re trying to reproduce an American house? 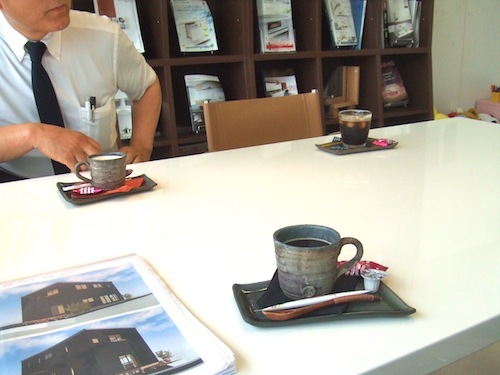 The builder we have chosen follows all the current standards for earthquake-proofing in Japan. As for fire certification we were under the impression you can’t build a house without one, so we assume it’s included in the price. In any event, our home loan requires fire insurance. I found your blog randomly one fine day last year. I was trying to find information on ‘housing loans for foreigners’. Despite a steady income and a fairly good job in Tokyo, not to mention that I have lived here over 10 years, I keep getting a ‘no’ every time I apply for a housing loan. Could I ask you which branch it was? Much appreciated.